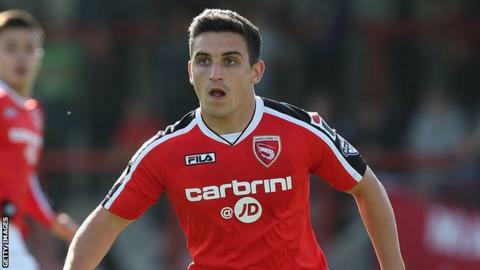 Morecambe manager Jim Bentley has made finding a new striker to replace departed Jack Redshaw a priority. The League Two side only have two strikers with Football League experience after Redshaw signed for League One club Blackpool. "It's come at a time when a few of your targets through the summer that you might have moved for have gone to other clubs," he told BBC Radio Lancashire. "Everyone wants a 15, 20-goal a season player but we've explored all avenues." He continued: "We've got one or two targets in non-league - some we've missed out on and some who might still be available - and one or two within the league as well." Despite being left short of attacking options, Bentley does not have any ill-feelings towards Renshaw, who made 129 appearances for the Shrimpers after signing for the club in 2012. "He's moved on to the next level and we've got a couple of quid in in the process which is much needed," he added. "We'll wish him well and hopefully he'll go on and fulfil more of his potential."